I received an email today from site sponsor B&H Photo indicating that Nikon has dropped prices on a large list of Nikkor lenses. It’s unclear as to whether these are temporary cuts, or are more long-term adjustments that reflect the relative weakness of the Yen against the US dollar. Notable price drops include $400 reduction on the excellent 80-400 f/4.5-5.6 AFS G VRII Nikkor and a $300 reduction on the 70-200mm f/2.8 AFS G VRII Nikkor. See the full list of Nikkor lenses with their new prices at B&H Photo. The new 500mm f/4E FL VR Nikkor weighs in at under 7 lbs. Nikon has announced updates to its 500mm and 600mm f/4 VR Nikkor lenses. The new lenses replace the original VR versions, which were announced in 2007. These new big Nikkors use fluorite glass elements to significantly reduce their weight. 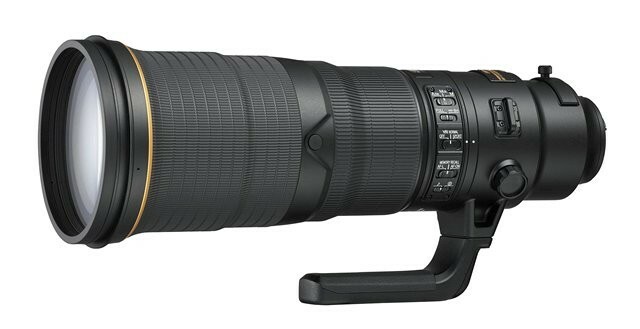 The 500mm f/4 E FL Nikkor weighs in at 6.8 lbs, and the 600mm f/4 E FL Nikkor is 8.4 lbs. That makes them currently the lightest 500/4 and 600/4 lenses on the market for 35mm format cameras. Nikon has also updated the VR system in these lenses to add 4-stops of effective shutter speed, and introduced a “sport” VR mode, which should theoretically improve AF tracking of moving subjects. The lenses also gain electronic aperture control, which is intended to improve exposure accuracy during high-speed shooting, such as with the D4s DSLR. 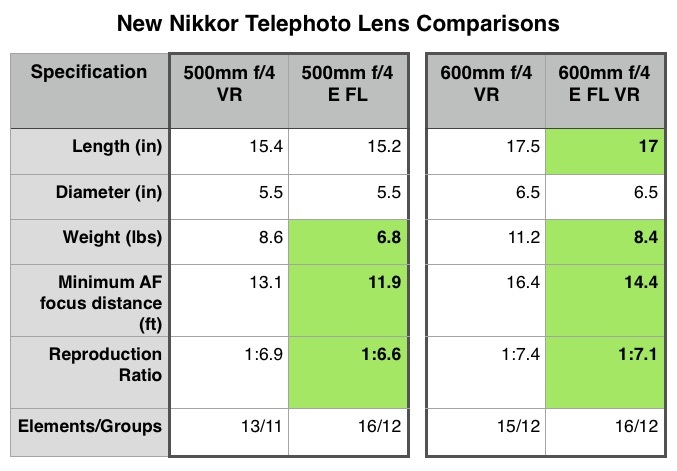 I’ve put together a simple table comparing each of these new lenses to its predecessor. Major differences are highlighted in green. The new 500mm and 600mm f/4E Nikkors compared to their predecessors. 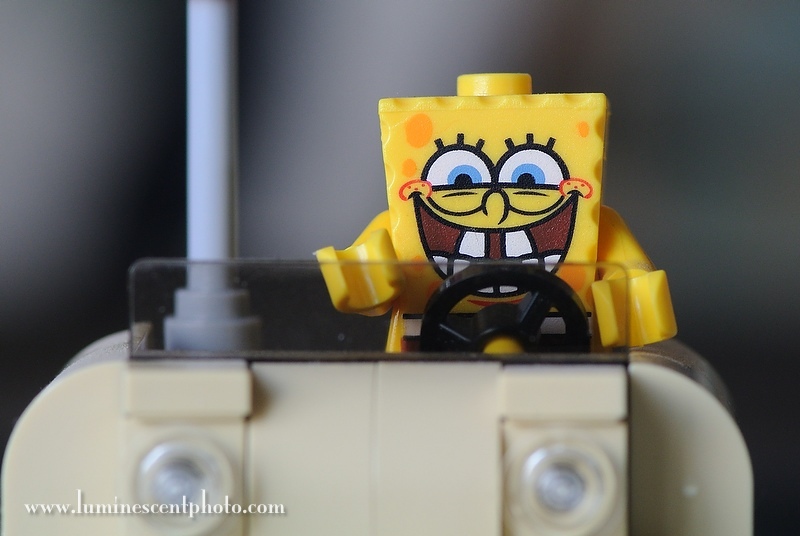 The Nikon 1 system, when coupled with a macro lens, offers excellent opportunities for close-up photography.